It’s no secret that winter is a particularly expensive time of the year when it comes to energy bills. The average home’s gas and electricity consumption skyrockets over winter and falls again when the weather warms up – many people have their central heating switched off for almost all of the year, but leave it on whenever they are at home during the coldest months. To help you save money over the winter, we have provided the following energy efficiency tips that are tailored to help you during sub-zero temperatures. Turning down your thermostat by just one or two degrees can reduce your central heating costs significantly. Typically, a comfortable temperature for a house is between 18 and 21 degrees C, but you should set yours to the lowest setting that is still comfortable for you. You don’t need to change your thermostat to a higher setting if it is particularly cold outside – the thermostat senses your home’s temperature and your boiler will continue warming your home until it reaches this temperature. However, as it will take longer for your central heating to reach your preferred temperature in cold weather, you may wish to change your timer settings so that your heating turns on at a slightly earlier time. 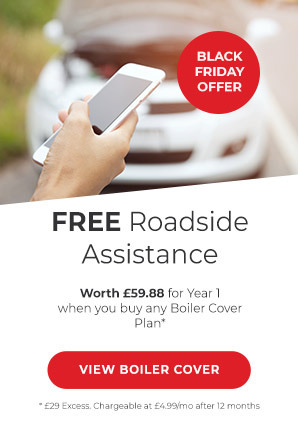 The best way to ensure that your boiler is operating as efficiently as possible is by arranging an annual boiler service – we provide these for people on certain boiler cover plans. An engineer will examine your boiler and ensure it works as efficiently as it can and that it is safe for you to use. Your engineer will also check your flues, vents and the internal components of the boiler. A problem with any of these could cause your energy bill to be higher than it should be, and could even prove dangerous. If your boiler is particularly old or inefficient, it may be time for you to replace it. Older boilers are considerably less energy efficient than newer models, and by upgrading to a new model, you could save up to £300 a year. 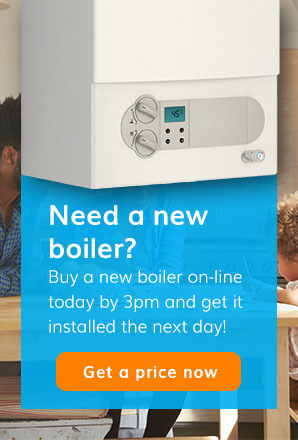 Of course, a replacement boiler can be expensive. You may be able to access grants, loans or other finance options for your boiler replacement through the Green Deal and Energy Company Obligation – contact your local authority and your energy supplier for further information. Insulation is also available through the Green Deal and Energy Company Obligation. It will only take a few hours for a specialist to install loft or cavity wall insulation in your home. However, if your home does not have a wall cavity – a common issue in homes built before 1920 – then you will need solid wall insulation, which is a more sizeable and expensive task. You should also draught-proof your home. Look for leaks around doors, windows, where pipes and electric cables enter your home, and even keyholes and letterboxes. You may be able to seal up smaller gaps yourself with caulk – obviously don’t caulk up your keyhole and letterbox! You may be able to find products in DIY and home improvement stores for trickier areas. External walls are colder than internal walls, so rearrange your furniture so that you sit and sleep next to interior walls and away from windows. If your schedule allows, open curtains on the south-facing side of your home when the sun comes up and close them again when night falls and you turn your heating on. The sun will heat up your home for free, and the curtains will insulate your home and prevent heat escaping through your windowpanes.